“If the stagnation occurs from 100-200m will discharge the station and then charge back when traffic is stable,” said Nguyen Van Phuong, Chairman of BOT Soc Trang, confirmed. 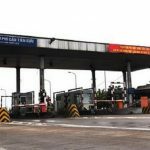 At 6:30 am on January 9, many drivers parked at the BOT toll station in Soc Trang to ask the owner to discharge the station. 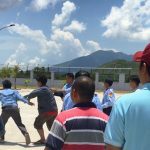 Mr. Tran Huu Phuoc (who lives in An Hiep commune, Chau Thanh district, Soc Trang province), who gave two cars of 15 seats and 25 seats to the parking lot, said: About 200 m but still have to pay when passing the station, while my car has paid full road charges. Due to Phuoc’s cars parked on both lanes, the following vehicles had no access so they had to be located. This situation leads to a long traffic jam causing the investor of BOT Soc Trang station to conduct the discharge of the station. The driver repeatedly parked BOT requests for the Sóc discharge station. At 9:30 am, many drivers continue to park at BOT Soc Trang to collect charges to protest the charging. 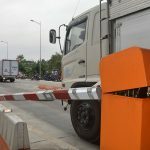 Drivers said that the toll booth is charging and then discharging stations makes it difficult for them, especially those who are ticketing month. Accordingly, the required drivers, Soc Trang BOT charging station must let them know the time to close and discharge stations to actively move. “Like the current situation, the travel encountered many difficulties, suffered damage who is responsible,” a driver stressed. Earlier, at a press conference held by the Department of Information and Communications of Soc Trang Province, Nguyen Van Phuong, Chairman of BOT Soc Trang, confirmed: “This station will continue to charge fees. 100-200m will discharge the station and then charge back when the traffic is stable. “In the immediate future, the station will reduce 100% of bus fees and other priority means on January 9. In addition, the unit is coordinating with other central and local ministries and agencies. Consideration of fee exemption for people in the project area starting from February 2018 “. The traffic jam at BOT Soc Trang. “At the moment, we have to focus on traffic distribution, traffic management and many options to maintain local order and security,” said Doi. 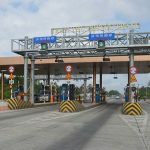 As VietnamFinance reported on January 7, there were dozens of drivers driving the car to BOT Soc Trang to protest the toll station. 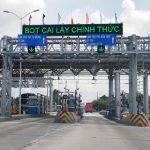 The drivers claim that the Soc Trang BOT station is not in the right place, charging high fees, even if they do not take the route to avoid Soc Trang but still have to pay. On the 7th of January, BOT Soc Trang has to carry out the first station to clear the traffic jams. So, after 2 days, BOT Soc Trang has discharged the station 2 times. 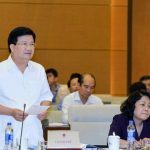 You are reading the article BOT Soc Trang: ‘It will discharge the station and then charge back when the traffic is stable’ in the Real Estate category at https://realestatevietnam.com.vn/.Any information sharing, feedback please email to info@realestatevietnam.com.vn, Hotline 0909890897 (24/7).